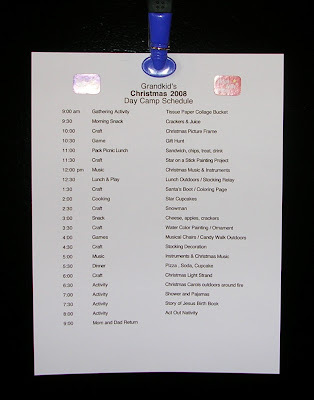 I post the day camp schedule on the fridge to keep me on track during the day. The little readers among us make sure we stay on schedule too! I wanna join this family! =) What a nice grandma. I don't even know how I ended up here...but I'm glad I did! I did Cousin Camp back at Spring Break, but I love your idea of the schedule. With the variation of ages (11 down to 1) of my grands (6 of them), I think that would have helped us a bit. I winged it a bit too much. I'll be back to check on more of your creative ideas! !